Imagine if you were able to make much stronger attacks at the most decisive moments in a cycling race. If you could push 50-100 Watts more and keep it there just a little longer. Could it make a difference? Could it possible increase your chances of winning? The good news is that you can actually boost your anaerobic performance with very small adjustments to your current training. You can call them Race-Winning Intervals. And you don’t have to work harder, but you need to pay more attention to the specific skills you want to train. Most road cyclists enjoy riding long endurance rides lasting 1to 2hours and sometimes up to 6+ hours. Some of them include structured intervals focusing on lifting their functional threshold power and VO2 max on a regular basis. It all makes good sense. But it is only a small minority that use structured intervals targeting anaerobic power and endurance. If you ask me, it’s a big mistake. Why? Because the shorter races you ride, the more important your anaerobic skills are. So there is actually a HUGE potential if you train these skills the right way (because most of your opponents don’t). I’ve done a few crits but being 69kg and more of a climber I’ve always struggled to get in the points. I always lost positions in the last lap or two, generally ended up between 10th and 20th. 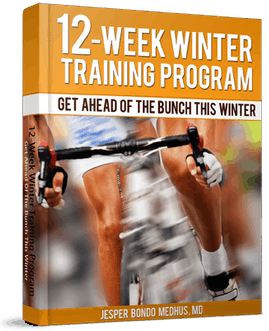 So I started doing your anaerobic interval sessions on the turbo trainer – I did about 6 or 7 sessions over 3 weeks. Very pleased, thanks for the sessions! As you can see, anaerobic performance can make significant changes to your race performance. Remember there is not much difference between the aerobic endurance of podium and top-15 riders. Nevertheless, anaerobic performance is quite trainable and you can make enormous improvements in short time. It is actually much faster than developing aerobic power. If you perform 6 to 8 of these sessions during the next month, I expect to hear more success stories like the one mentioned above. Give it a try! I notice you have increased the recovery time from 6 mins to 9 mins between intervals compared to when you have previouly recommended similar routines. I think recovery time when doing anaerobic intervals is a really interesting topic. What was your specific reasoning for moving the interval recovery time to 9 minutes? Thanks for all the coaching tips, it’s really good to follow them. Two of the most common mistakes are too short recovery periods between intervals and too high intensity in recovery periods. The difference between 6 and 9 minutes is minimal, but there can be other factors playing a role. If you are limited on time, I guess it is probably better to get 5 intervals with 6 min recovery than 4 intervals with 9 minutes recovery. IF you have enough time there might be little edge to the 9 min recovery. You advice a number of minutes of recovery time. Can you please advice a number to “RECOVERY”-intensity? % of VOmax, or % of FTP? Would you please explain how to perform the “flying 500m sprints”? It should be very easy rolling. Flying sprints are sprints that starts at high speed (35-40+km/hr) like you would see it in a race. 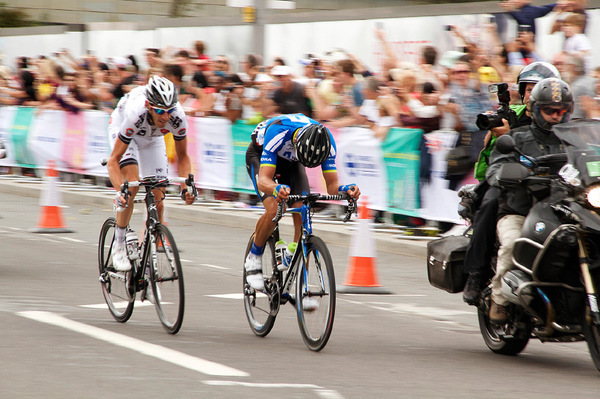 Does the “slow start” the “power sprint” – almost from a standing start? How many days should I do to recover between each workout? Are you referring to 6-8 sets of 1,2&3 intervals each month or 18-24 total sets? While looking through your website I came across this training for sprints. This is my second year racing track (Age 44 racing masters 35+) with the first one being a big learning experiance. Would you still suggest the recovery period to be 6 to 9 min. if training for track. I only ask as a points race goes pretty quick and you might get 1 to 2 min between sprint laps. It’s two different things (maximum sprint and repeated sprints in a point race). Yes, most sprints in a point race or any other cycling race are not separated with 9 min full recovery. However, if you want to improve the maximal possible Watts you can pedal in a sprint, you’ll need long recovery between each sprint. All track riders should do such efforts if you ask me. Repeated sprints at relative high intensity is a bit trickier. It’s repeated anaerobic bursts that should be trained as specific as possible (race-like activities or simply races), but they should never stand alone. 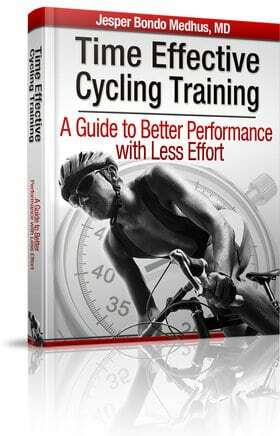 In Jesper’s Time Effective Cycling Training Book there is an anaerobic training routine which is 10 @ 30 sec. Efforts with 3 min recovery. As well as developing short term power I find it also a great training routine for points races. I believe what gregg is looking to train is anaerobic endurance rather than anaerobic max power. Energy from repeated sprints with short rest increase the use of aerobic energy while reducing anaerobic sources of energy, This happens with long rest periods as well but not as much as short rests. I would say for points racing repeated submaximal efforts (30secs to 1min) at low level 6 with similar rest periods. Say 4-6 intervals then long rest and repeat for another set or 2? What would you say jesper?